Surrounded by antique leather couches, jazz beats and pots of cacti, this little bohemian restaurant reimagines Spanish cocina gastronomica under a new light. 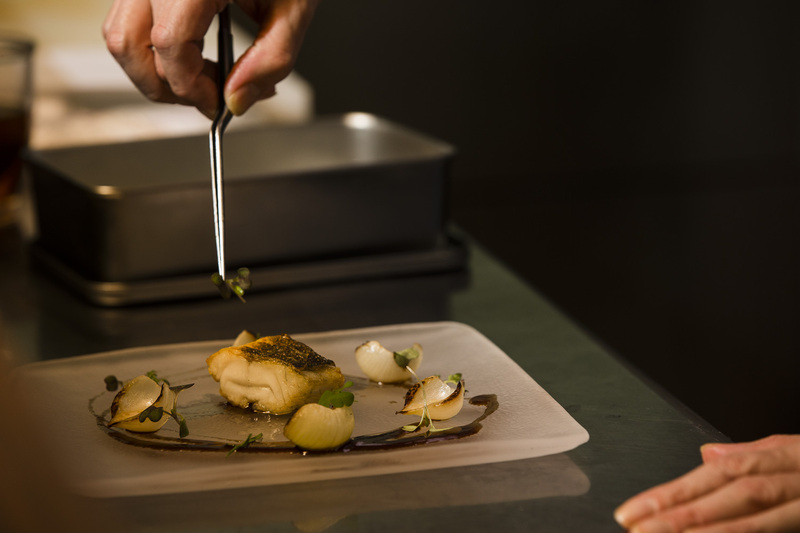 Exquisite and stunning, Ñ’s creative cuisine transforms seasonal Osaka produce into modern culinary masterpieces. 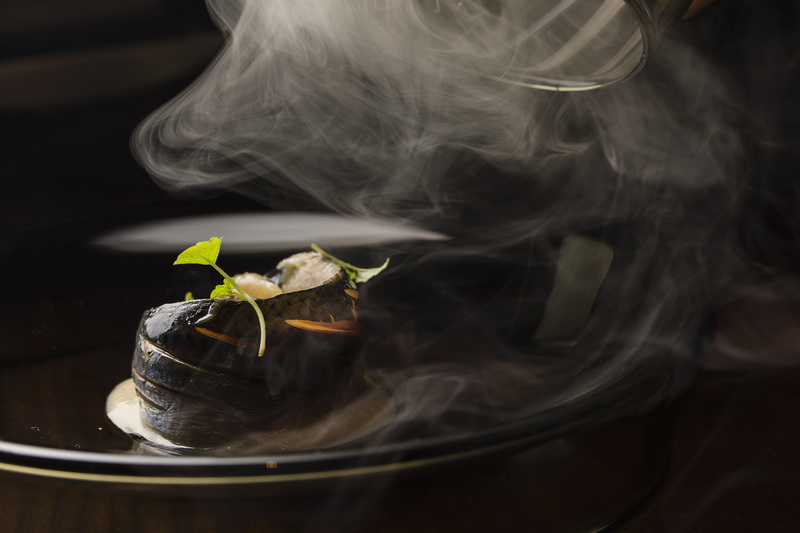 Since the restaurant opened in 2015, Chef Hirotomo Sunada has dedicated himself in fabricating a new world of contemporary Spanish cuisine. Using every drop of knowledge he acquired during the seven years he trained at Spain’s most renowned restaurants, his dishes leap far beyond the traditional repertoire of ajillo and paella. The moment you step inside the glass door entrance, you’ll forget you are in the middle of the city’s bustling business district. Inspired by New Yorker’s favorite Ace Hotel, the space feels modern, sophisticated yet warm as if you’re invited a home of a novelist. 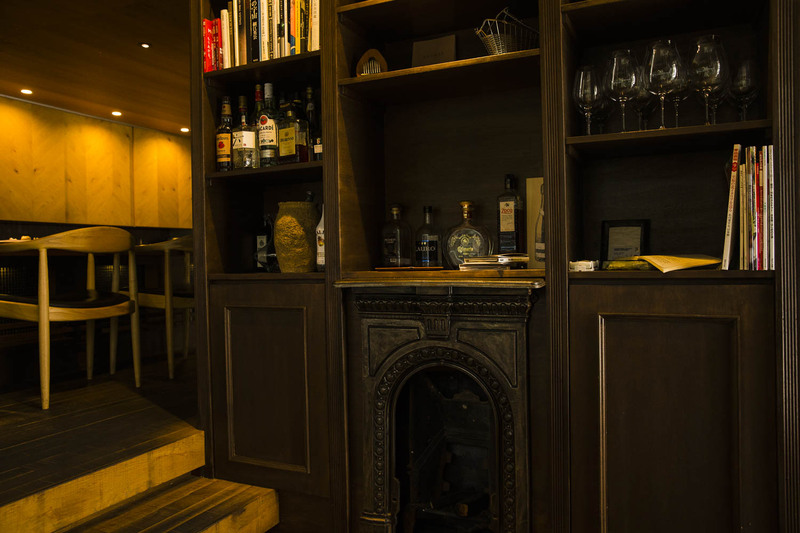 The classic wooden cabinet at the entrance is filled with books, liquor bottles and other items of interest. The furniture is mounted with an old fireplace and set against soft leather couches. A long counter, a fine slab of African teak, stretches across the restaurant, set with a row of Han Wegner Round Chairs—icon of Danish craftsmanship. Sitting in these pieces of art, you will watch the chef unfold his gastronomic magic. Just like the whole ambiance, the cuisine at Ñ is simply timeless. Enjoy an extraordinary culinary experience. 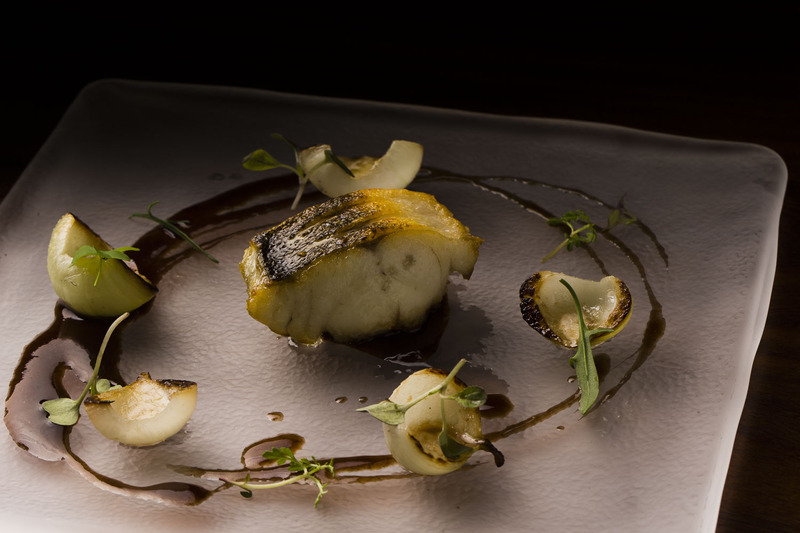 From Madrid to Basque, Sunada has learned from the best gastronomic restaurants across Spain. Now back in Japan, he is creating a cuisine he can call his own using the best of local ingredients, mainly local vegetables that are known as Naniwa vegetables. To devise the monthly menu, he locks himself in the kitchen for an entire day. There, he faces the key ingredients he selected and experiments for the best recipes. To bring out the best of each flavor, a dish uses only a couple of ingredients. He also doesn’t limit himself to traditional Spanish cooking methods but incorporates different ideas such as Japanese charcoal grill or Chinese meat cooking techniques. The beautiful course begins with a trio of light appetisers, followed by a choice of original cocktails, three plates of tapas, a main course, a rice dish and finally, dessert. 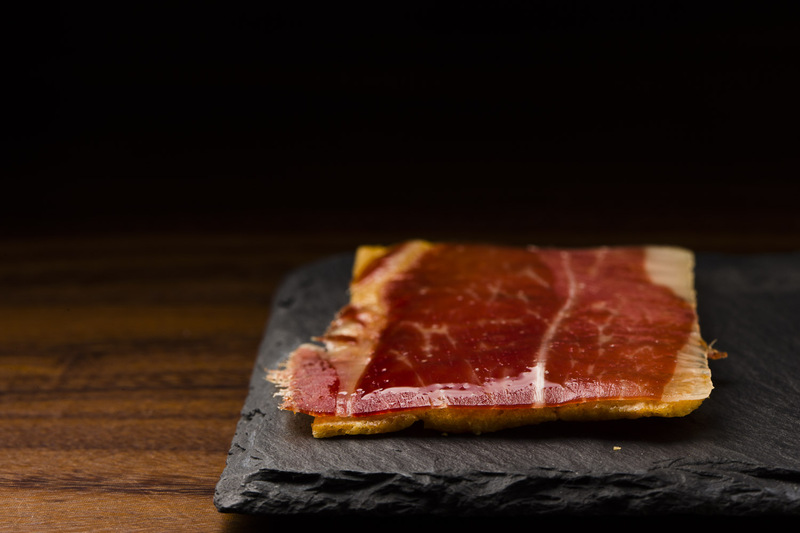 One of the light appetisers is a crispy thin cracker made of Jamón Ibérico from Jaén. The slices of salty meat are coated with a crispy crust of parmigiano and egg white, and slightly warmed so that the sweet fat of the ham is slowly melting. Served on a charcoal-like flat rectangular plate, the warm colors of the food come to life. 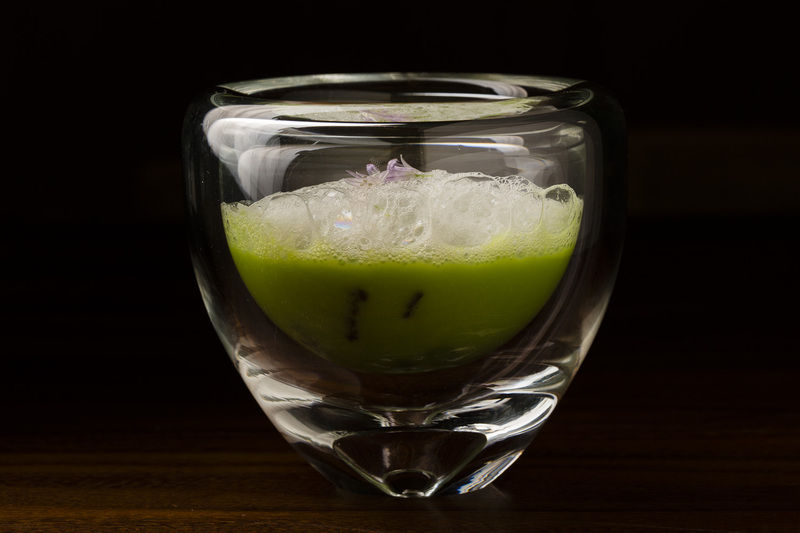 Next is a cup of Salpicón chilled soup with white abalone with usui peas, poured into a gorgeous round glass tumbler. The creamy and smooth soup is full of umami from the fresh abalone, while the bright green peas, local to Osaka, add a refreshing breeze of spring. A key signature appetiser is a drink the chef used to love making for himself in Spain after a long day of work. 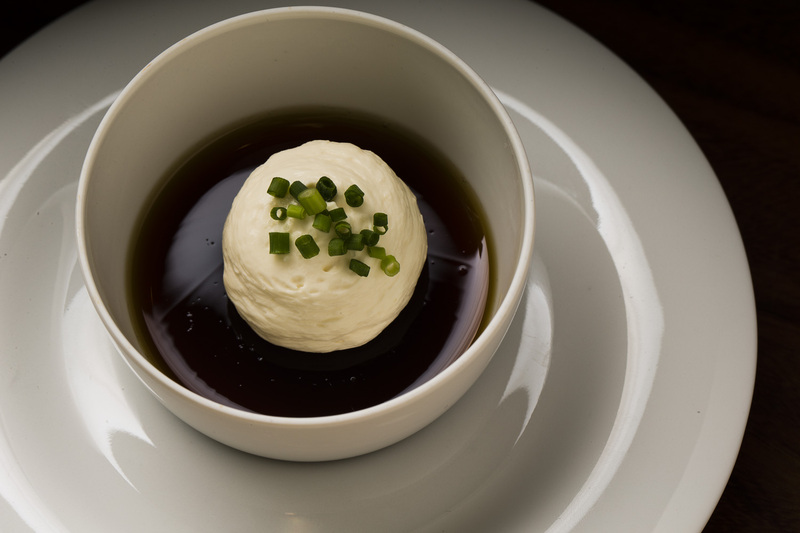 What looks like an affogato at first glance, the recipe combines two beautiful Spanish liquors—Martini jelly and Pedro Ximénez cream—and is topped with a scoop of fresh cheese and some scallions. Served with a large round glass lid, the next dish is full of surprises. Using the Super Aladin smoker he brought back from Spain, Sunada cooks fresh sardines and serves the aromatized smoke inside the lid like a capsule. The moment you remove the lid, the scented smoke, infused with rosemary and thyme, fill up your nose and stomach. The piece of fish is wrapped in Osaka aubergine and drizzled with yogurt sauce. The dish is simply divine. The flathead plancha comes served with new pearl onions in red wine sauce. The fish is cooked slowly while rotating over the hot grill while drizzled with olive oil. The red wine sauce is full of flavors distilled from cooking root vegetables and fish bones for more than half a day. 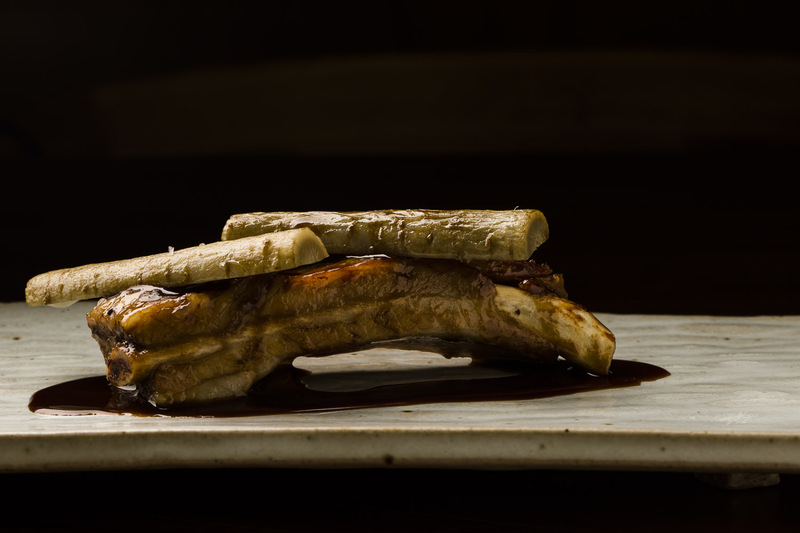 The main meat dish is Ibérico spare ribs with burdock root confit. The soft and juicy meat is slow cooked for over 7 hours with sherry vinegar and broth, and melts off the bone as you cut into it. The ginger adds a nice accent to the sweet flavor of the meat. Equally important to the food, the cocktail is a key integral of the Ñ experience. You can choose from a selection of unique alcoholic or non-alcoholic drink including the their original mohito and frozen watermelon soda. Sunada trades with a number of vegetable producers from the local market as well as with boutique vendors. For fish, he sources from the market and regional ports depending on the produce. Rather than sacrificing on the freshness by importing from Spain, he focuses on discovering the best local ingredients like usui peas and Osaka aubergines. The menu depends entirely on the seasonal ingredients available. He first searches for foods that bring about the best flavors for that particular month, and then devises the most appropriate recipe. Raised on a chicken farm in Hyogo, good produce was a part of Sunada’s childhood. He grew up delivering fresh meats to restaurants and hotels and used to spend lots of time in commercial kitchens. It was only natural for him to pursue a culinary career. He began his training at Hotel Okura in Kobe. His memorable encounter with Spanish food took place when his Spanish friend’s mom was visiting Japan and cooked them some of her favorite homemade dishes. It was when he tasted her cocido madrileño he fell in love with the cuisine and immediately switched to studying Spanish foods instead of French. When he was 29 years old, he moved to Spain without knowing a word of Spanish. He spent the first three years in Madrid, learning from the best of Michelin-starred chefs at La Broche, De Vinis de Beatriz Molero, and La Terraza del casino de Paco Roncero. 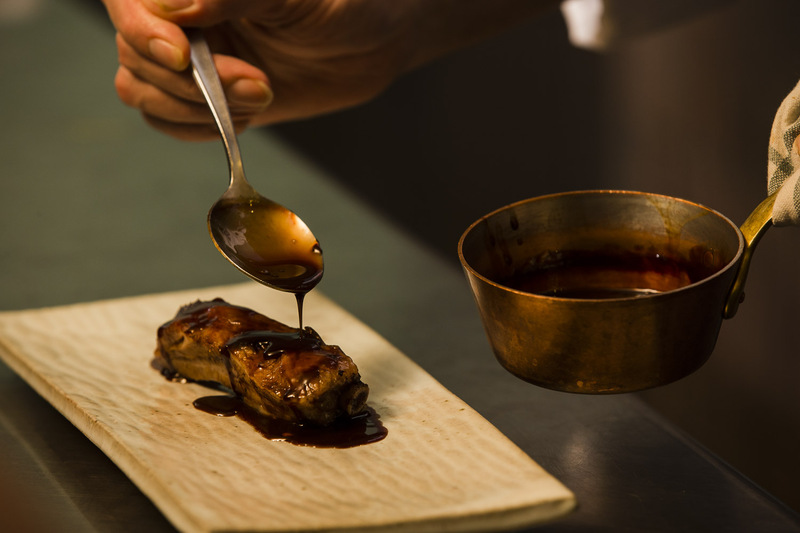 He then relocated to San Sebastian in Basque and joined the three-starred Restaurante Akelare de Pedro Subijana. He returned to Osaka in 2009 with a vision to spread authentic cocina gastronomica. He spent the next six years working various jobs to save enough money to finally realize his dream. To show his love and appreciation for Spain, he named the restaurant using Ñ, a single Spanish alphabet. When he is not working, he loves mountain climbing and looking for interesting plants on the way. He likes to go off the beaten path, perhaps a reflection of why he chose to pursue Spanish food instead of Italian or French. 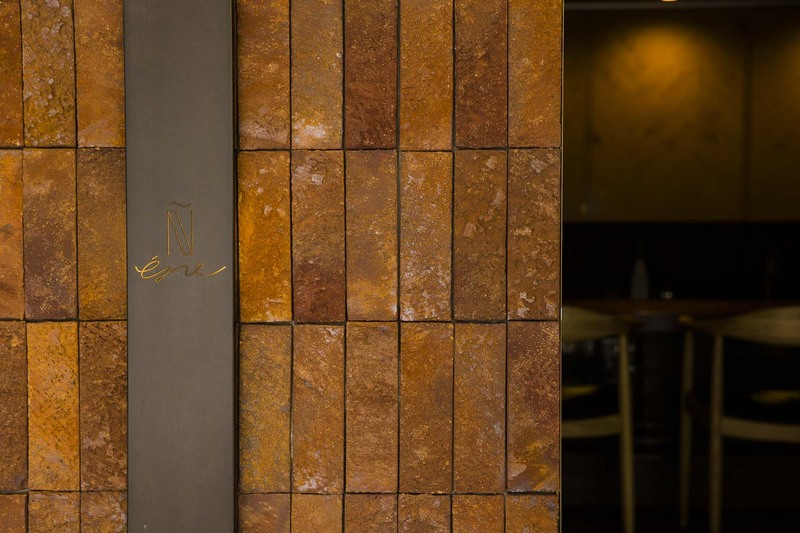 “Ñ’s cuisine has continued to evolve since its opening in 2015,” Sunada explains. “I want to continue brushing up the menu.” He also dreams of opening a mixology bar next, where he could offer original cocktails and snacks he created for Ñ. 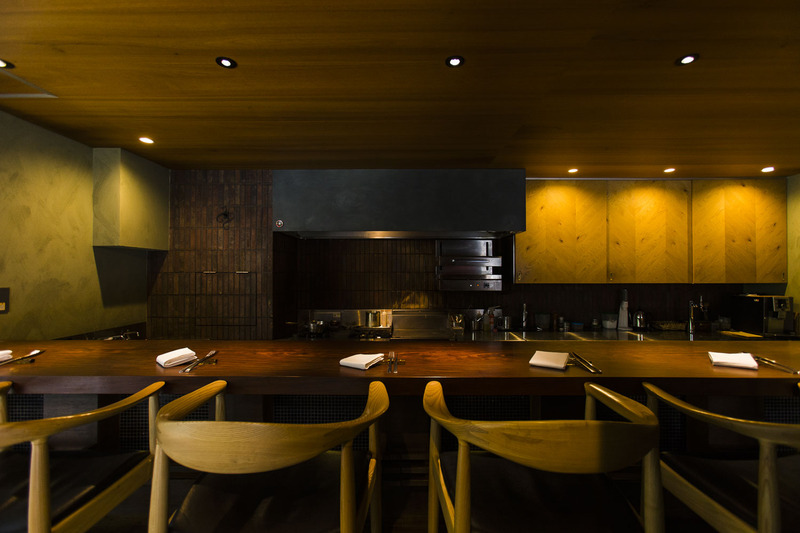 For Sunada, the ambiance of the place matters as much as the food itself. In the open area by the counter, he has placed a heavy wooden cabinet with an antique fireplace mounted into it. 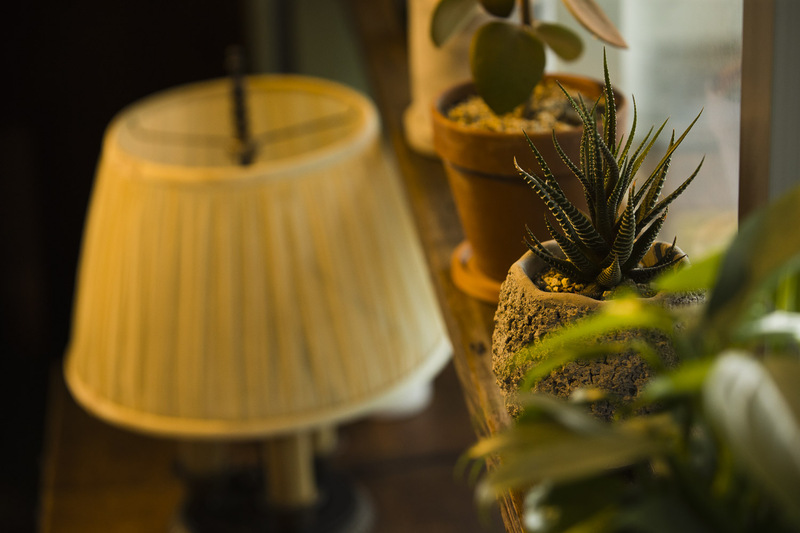 From the little cacti pots he’s been collecting to the olive-colored wallpaper, the space is brought together by different shades of green. Calm and relaxed, the guests can feel at home here.